With its front-facing camera, the handset will pause a video if the user looks away, and start playing it when their gaze falls back on the display. In addition, the upgrade will pack what’s said to be a world’s first Dual Camera feature, which creates picture-in-picture shots by using the hardware’s two cameras. 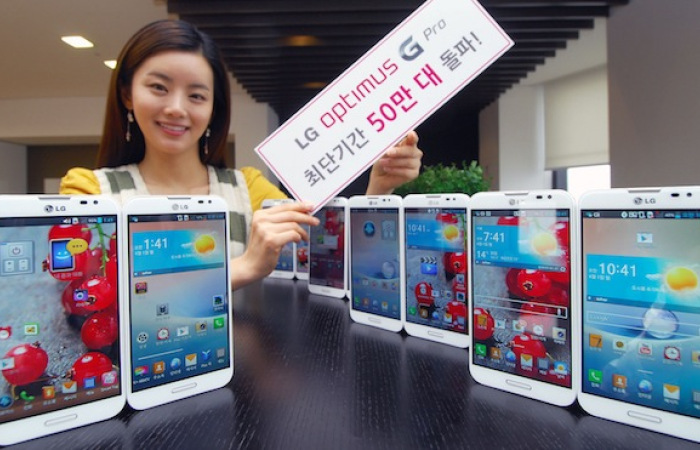 The Optimus G Pro will also receive the ability to change the home button’s LED to correlate with contacts, pause and resume video recording, color emoticons and refreshed QRemote functionality. The Optimus G Pro is set to launch in India in Early weeks of May for a undecided price, our guess is just shy of the 40k price mark.